As a photographer, if you need the best equipment possible, you buy a full frame DSLR or mirrorless camera. But, sometimes you just need a small camera that conveniently fits in your pocket, backpack or purse and that will take good-quality photos without taking up a lot of space. So if you want the best point and shoot camera under 300 dollars, here are some key points to consider before making a purchase. In the last five years or so, smartphones pretty much wiped out the entry-level compact camera market. 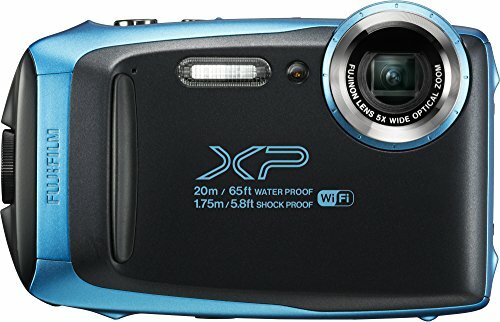 The only point and shoot or compact models that survived were ones that could offer unique features not present in smartphones. After all, if your compact camera offers no advantage over your smartphone camera, then why carry both? If you are looking for the best compact camera under 300 dollars, here are some key points to consider before making a purchase, along with six different cameras that should meet your needs. The larger the sensor size, the more data will be recorded onto each image and the greater the level of detail, sharpness and color you will get. Bigger sensors accommodate higher megapixel ratings without adding extra noise, so the larger the sensor and higher the MP value, the higher the quality images produced. One of the biggest advantages of cameras over smartphones is that most cameras – even most point-and-shoot cameras like those on this list – have built-in zoom lenses, also referred to as an “optical zoom”. The benefit of an optical zoom over a digital zoom is that optical zooms do not negatively affect the image quality. So having a camera with an optical zoom lens can give you much sharper images across the board. Superzooms are also rising in popularity. These are simply optical zooms with very long telephoto capabilities, giving you focal length up to 1000mm and beyond! If you are heading off on an outdoor adventure and want to document those memories with your camera, then you will likely want one that can survive the elements. Even the best compact camera might not be designed to survive a long trip filled with hiking, rock climbing and swimming. But some cameras in this price range are built with rugged waterproof designs, so I will be sure to point you to at least one such camera in this review. And if you plan on spending a lot of time in the water or in wet, rainy environments, then you should also check out my review of the best cameras for snorkeling here on PhotoTraces. Sharing digital photos with your friends on social media or through messaging apps is easy with your smartphone, but what if you want to share actual prints? You’d have to either wait until you get home and can print them out and send them, or you would have to go to a one-hour photo printing service to have them done. To overcome this inconvenience, some compact cameras have a built-in printer or are able to record images right onto photo paper. So you can basically create prints in real time as you shoot them. Then you can instantly pass them around at a party and hand them out for friends and family to take home. Depending on the kind of photography you are doing, there might be times when you don’t want to use your smartphone camera or your DSLR, even though they’re technically capable of doing the job. Shooting pics of your family while on vacation is one thing. But shooting stunt and action videos while skateboarding, kayaking and mountain biking is something else entirely. Do you really want to strap your $1,000 iPhone to your bike helmet while tumbling down the side of a mountain? One last feature I want to mention is low-light capability. Shooting in the dark or indoors with poor available lighting can be a real challenge with a high-end DSLR. But with a smartphone it’s nearly impossible, even with that little built-in flash. Fortunately, there are some compact cameras that will give you better low-light performance than your smartphone. So if you plan on shooting indoors without flash, shooting outdoors at night or shooting at clubs, concerts and other dark environments, then choosing a point-and-shoot designed for low-light photography is a must. So with all of those key points in mind, let’s take a look at some small cameras and figure out which of them will meet your needs. 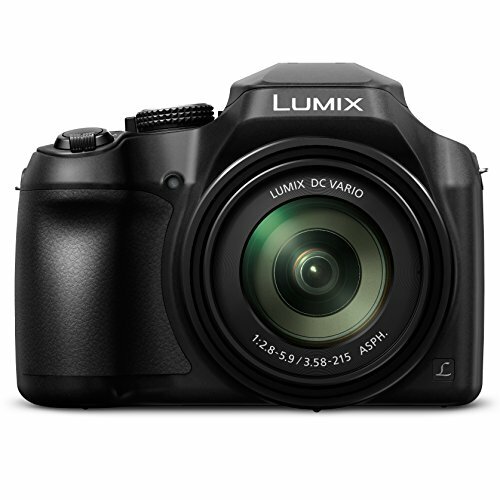 The Lumix FZ80 is one of the best digital cameras you’ll find in this price range. Not only is it easy for beginners to use with all the automated shooting modes, it is also packed with pro features that will please just about every photographer out there. First of all, the zoom range is amazing. It features a 20mm wide angle – which is noticeably wider than most other cameras in this class. Add in the 1200mm superzoom, and this is like having a bag full of lenses in the palm of your hand with optical stabilization. As far as point-and-shoot cameras go, this one is almost perfect. I don’t know why Panasonic cut themselves short by having a fixed viewscreen, though. That is the Achilles heel of this otherwise perfect camera. 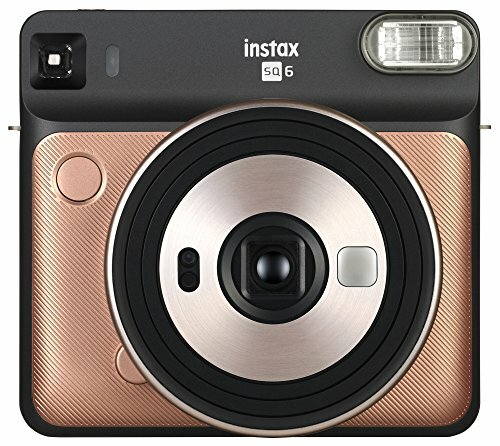 The Fujifilm Instax Square SQ6 is a fairly recent entry into the instant camera market. Unlike the Polaroid cameras of old, this one does not expose images directly onto the film/paper. Instead, it creates square digital images and prints them right from the camera. Like most instant cameras, the SQ6 does not store your images digitally. It just prints them out as you shoot. The SQ6 is a really fun instant camera that is perfect for shooting on the fly with friends at parties, at school and at other social events. Image quality isn’t spectacular, but that is typical with most instant cameras. It has a built-in, automated flash and comes with three colored gels to use as effects filters. But unlike most filters, these mount to the flash instead of the lens. This means that more light can enter the lens, which generally improves image quality and allows for mixed light balance. The bottom line is that it’s a fun camera that allows you to instantly share physical prints with your friends, and literally anyone can use this camera without previous photography experience. 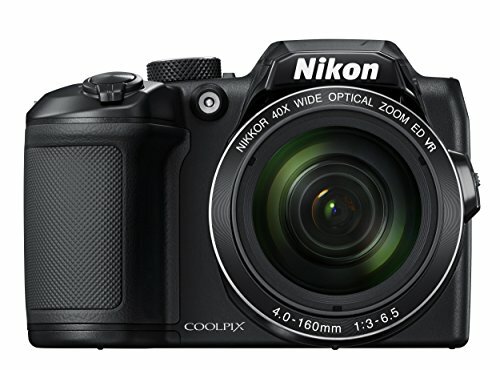 The Nikon COOLPIX B500 offers DSLR quality and features with point-and-shoot portability and price. It’s a terrific choice for entry or mid-level photographers who aren’t ready to go all in on a DSLR and bag full of lenses but who want more options and better quality than your standard compact camera. With this mix of pro features and affordability the B500 might just be the best digital camera under $300 – but read on to find out if it beats out the other cameras in this roundup. The B500 offers several shooting modes that take much of the guesswork out of shooting under different conditions, allowing you to focus more on framing your shots and clicking the shutter button at the decisive moment. The 40x optical zoom lets you get up close with your subject, and the image stabilization feature allows you to hand-hold at slower shutter speeds. Bluetooth and Wifi features allow you to automatically transfer images to your smartphone while shooting in real time. You can also use your phone as a remote to control the camera from a distance. Overall, this is a versatile digital camera that will allow you to shoot sharp, high-quality images and videos under a variety of lighting conditions. This high-quality travel zoom camera is known in the US as the ZS50 and outside the US as the TZ70. Equipped with a Leica lens, the TZ70 has a 24-720mm focal range equivalent, a built-in flash and a small, pocket-sized build. It’s ideal as a classy little travel camera that will likely cover all of your travel photography needs, from landscapes to portraits. The downsized 12 MP sensor also gives you reduced noise and grain at high ISO settings, making it effective for shooting indoors with only available light. But this isn’t just a basic compact camera for beginners. The TZ70 comes with some great features that pro photographers will also love. For starters, this little camera allows you to shoot RAW images, so post-production geeks will love the ability to tweak images to their heart’s content. Unlike most compact point-and-shoots, this one allows for manual controls rather than limiting you to automated and partially-automated shooting modes. You can also get some great action stills with 10 fps high-speed bursts. Another unique feature of this camera that most others in this class lack is the electronic viewfinder (EVF). This allows you to frame your images even when shooting in direct sunlight, something that is very difficult with many LCD frames due to glare from the sun. All in all, this pocket travel camera comes with some great features that make it perfect for both beginners and serious photography enthusiasts. Fujifilm’s XP130 lets you get out in the water and grab some photos without worrying about ruining your camera. It comes in a variety of funky colors and has a pretty cool aesthetic design. Plus, it’s fairly rugged and can withstand a few bumps and bruises without falling to pieces. And its compact size makes it ideal for surfing, diving, skiing and hiking in wet conditions. Just slip it in your pocket and go. It’s shockproof, dustproof, freezeproof and waterproof to 20m, making it a bit more durable than many of its competitors in this price range. With a fixed 3-inch LCD screen for easy viewing and shot composition in and out of the water, it’s a fun camera for a family vacation in Hawaii or for just playing with the kids in the swimming pool on a sunny summer day. But with an aperture range of f/3.9 – f/4.9, the optics are not that great. The small aperture makes it difficult to shoot at low ISO or with high shutter speeds – both of which are essential for getting sharp, colorful pics of your underwater subjects. If the sun isn’t shining bright, you are likely to be a little frustrated with the image quality. Bluetooth allows for remote viewing and operation on your smartphone, so this makes it an ideal camera for wading and shooting macro in tidepools. 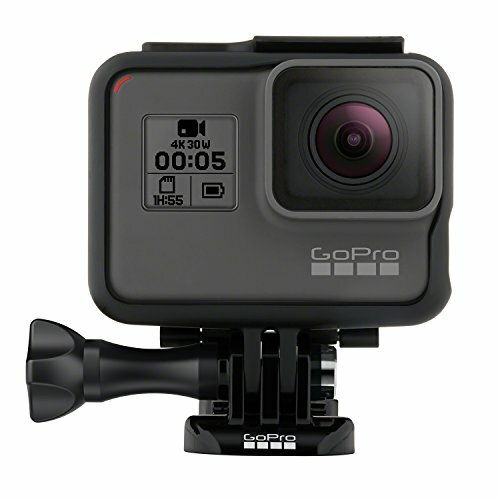 GoPro is synonymous with stunt videos and action photography. Their tiny, compact design make these cameras incredibly versatile. You can mount them to just about anything: your skateboard, surfboard, motorcycle, mountain bike, helmet, guitar, dog, cat – anything. If you want an action camera, get a GoPro. Everybody knows this already. No other competitor does the job better than GoPro at this point in time. The Hero 5’s new design with the larger 2-inch touchscreen is a huge improvement over previous models. But if you want a rugged, weatherproof handheld point-and-shoot for handheld shooting, there are better options for your money, such as the Fujifilm XP130 above. I still think that the GoPro cameras are most effective when used as originally intended – as mounted action cameras. The new voice commands make this ideal for controlling your camera while it’s mounted to your helmet or strapped to your skateboard, surfboard, etc. We’ve covered a wide range of point-and-shoot cameras in this roundup, some of which have specialized features and purposes like instant prints and waterproofing. 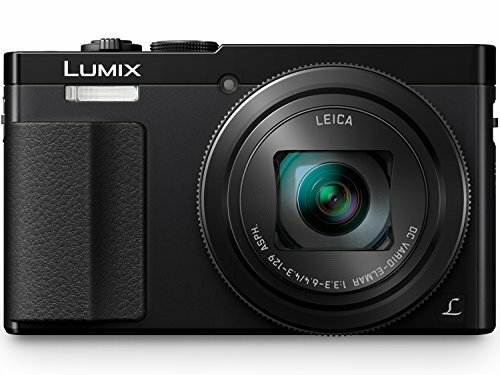 This is definitely an impressive bridge camera that fills the gap between basic point-and-shoots and DSLRs. If you’re looking for a point-and-shoot camera that is great for travel and everyday shooting without giving up your favorite pro features, then this camera is a fantastic option that won’t break your budget.